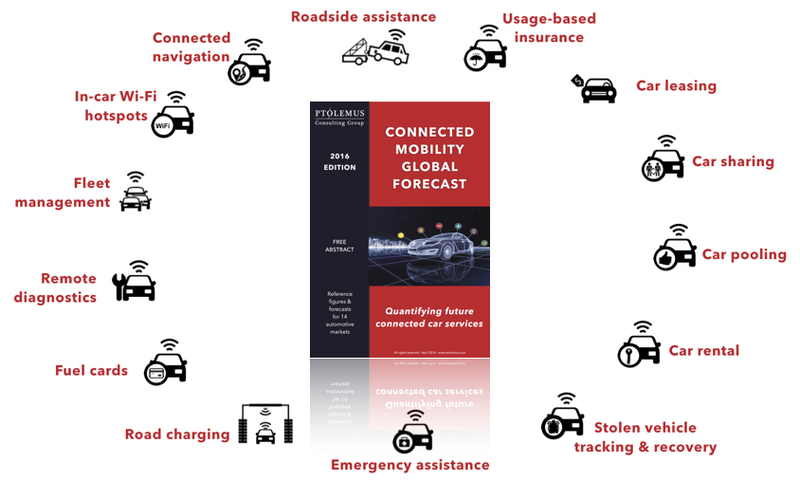 PTOLEMUS is the leading consulting firm in the world of geo-connected mobility. 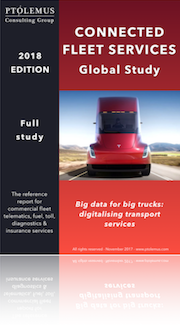 Until now, our research has focused on the usage based insurance and electronic tolling markets as two mobility applications particularly primed for growth. 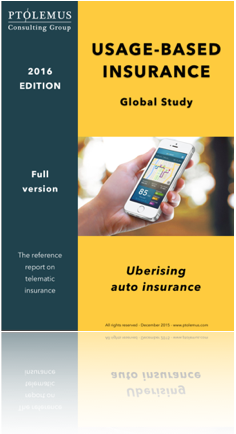 Today, we take a step up and analyse the car-centric mobility services market as a whole. 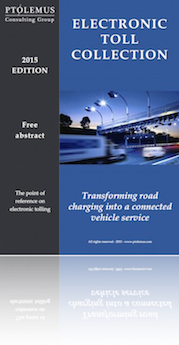 We are delighted to announce the launch of the Connected Mobility Global Forecast 2016. You can download the free abstract using the form below. 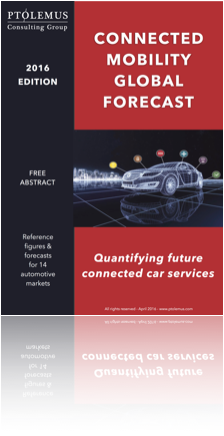 For the first time, the entire connected car service market is accounted for. The TAMs are calculated from the perspective of the connectivity service provider (CSP*) and from the perspective of the final service provider to the end user, defined as the mobility service provider (MSP*). 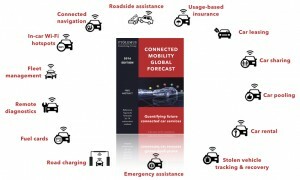 In addition, the Connected Mobility Global Forecast 2016 is provided with the underlying data sheet. The Excel document gives you the output of the 14 forecasts for 18 geographical markets. 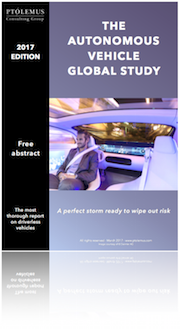 Download the free 40-page abstract using the form below. * Definitions of MSPs and CSPs differ depending on the services. As an illustration, in the UBI market, MSPs are the insurance companies and CSPs are the UBI service providers.